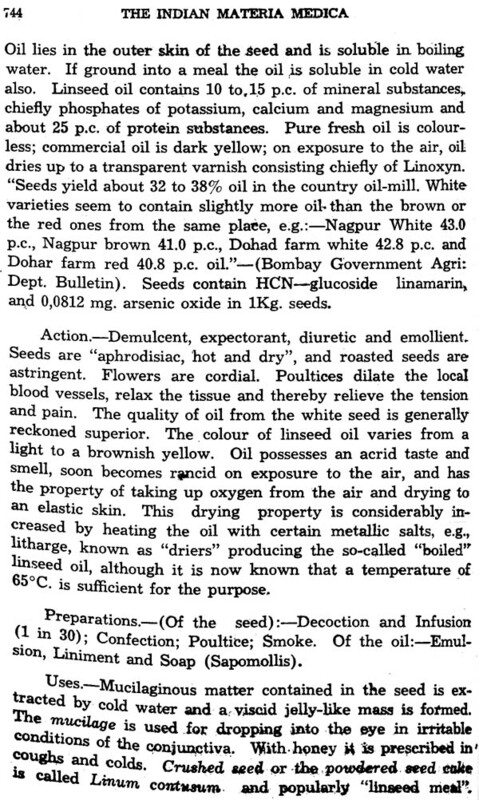 Dr. K. M. Nadkarni’s Well-Known book ‘The Indian Materia Medica’ does not need any introduction. 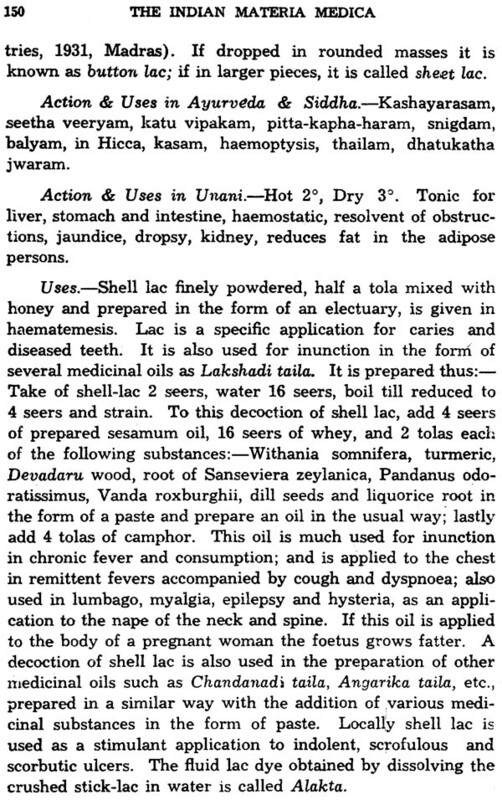 It has been revised, enlarged and brought up to date by his distinguished son Shri A, K. Nadkarni who deserves the gratitude of the lovers of Ayurveda all over country. The 3rd edition of this admirable book which is new being presented has been anxiously awaited by students and practitioners of Ayurvedic medicine. The Indian systems of medicine both Ayurvedic and Tibbi even now give medical relief to a very large section of the population in our vast country especially in the rural areas. These are also believed to be effective by a large section of the urban population and even by effective by the intelligentsia. 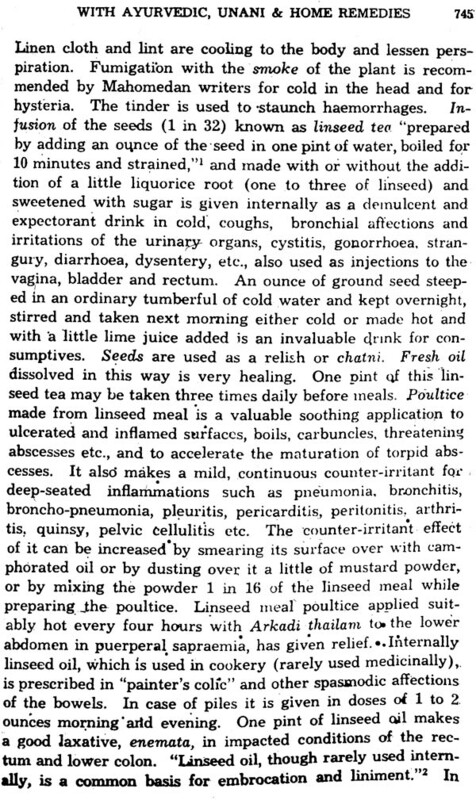 These systems have continued to be useful and popular spite of the fact that during the British regime Western Medicine was chiefly the System of medical relief and Indian Medicine was not encouraged. Since the dawn of Independence the Government of various States has appreciated the importance of these systems in medical relief and has taken measures to encourage their use and even give them a scientific foundation by stimulating research on modern scientific Lines. 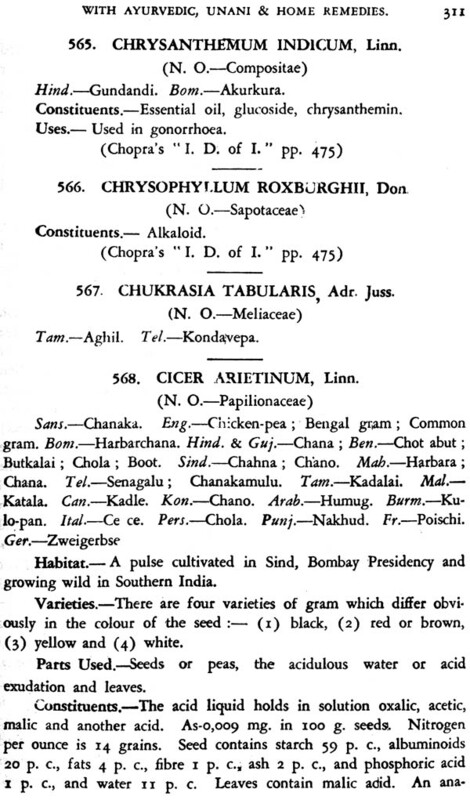 The Indian Materia Medica contains about 2000 drugs, the majority of which are of vegetable origin. 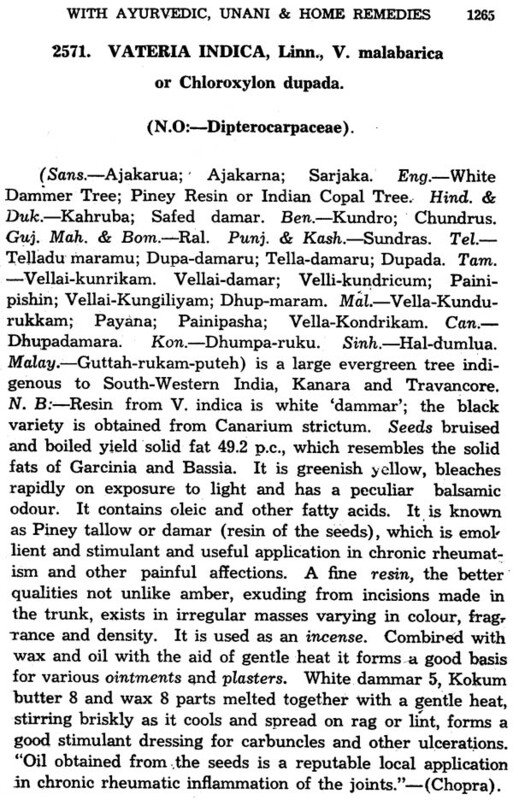 During the time of the great Ashoka the Hindu materia contained about 700 vegetable drugs which were used by the Vaidyas. 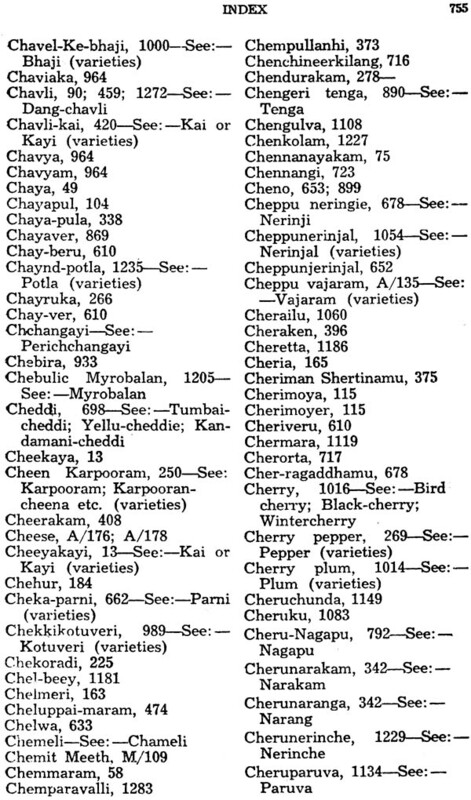 They were mostly cultivated in gardens all over the country and time of collection, the parts used, methods of curing and preserving were well known. Since the number of drugs commonly used in those days was not large no elaborate. 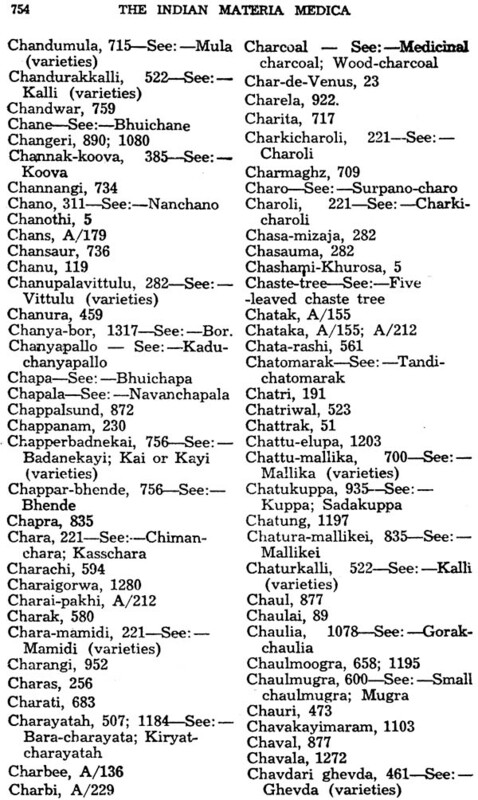 The student of medicine used to live with his Guru in the Gurukulas and received practical training in connection with his identification and proper time of collection. 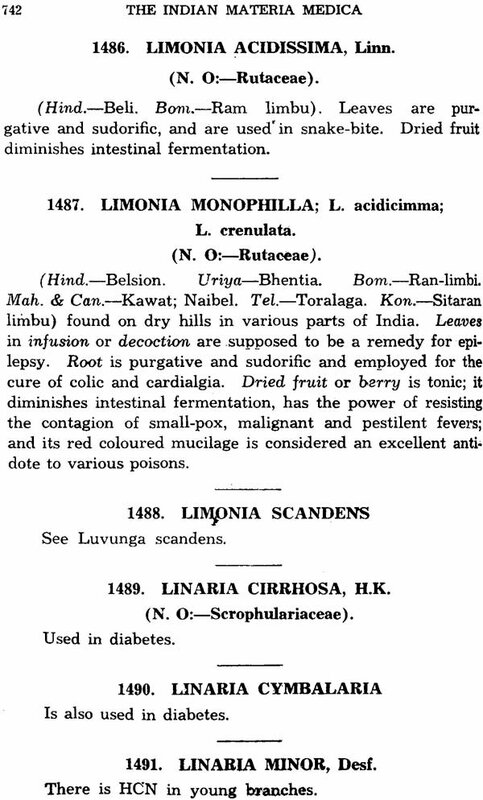 In the course of time more and more vegetable herbs growing in different part of India were gradually included in the indigenous materia medica but unfortunately the standards of purity and their correct identification did not keep pace with expansion. From a perusal of the pages in the two volumes of this book readers would get the feeling that the author has tried to supply missing information. 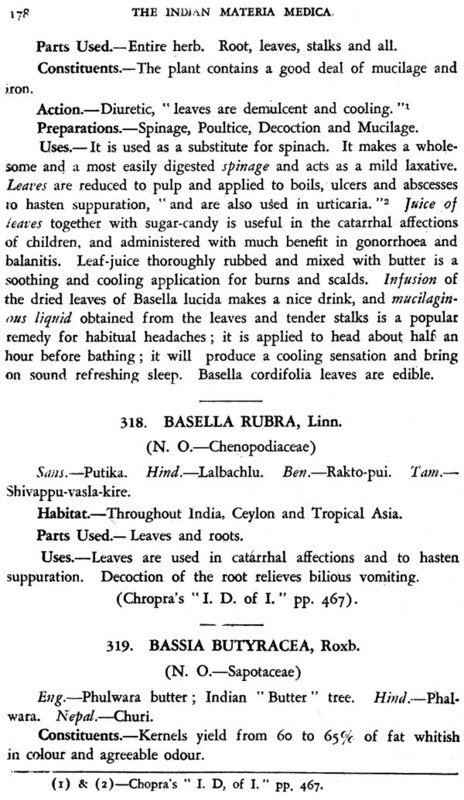 The author has dealt with the section of herbs and their use in medicine in a very informative and at the same time lucid manner which will appeal even to partitions of westlucid manner which will appeal even to practitioners of western medicine. It is needless to emphasize the rich herbal reassures of the vest sub-continent and it’s varying climatic zones with variety of vegetation ranging from alpine to the tropical regions. Their exploitation in the interest of the suffering humanity is very important. This book will served its purpose if the attention of the interested in the art of healine is attracted to this aspect. The setting up of the national and Regional Laboratories by the Government of India especially the Central Drug Research Institute at Lucknow for the specific purpose of making scientific investigations on indigenous drugs is a testimony of the in interest in this subject taken by the public. Even in some of the western countries great deal of interest has been evoked in this subject. The revision of the original book and bringing it up to date must indeed have been a very laborious task which has been done in a very commendable manner. For this, the author deserves gratitude and congratulations of all concerned. I am sure the book will be welcomed by all interested in the subject of Indigenous medicine. 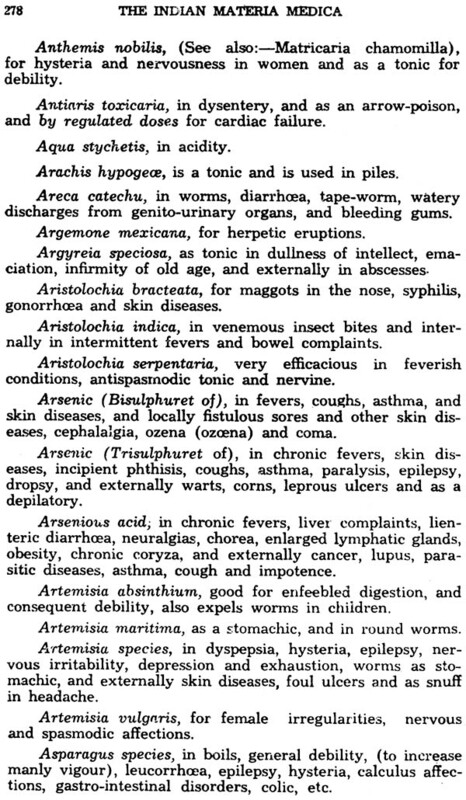 (a) By introducing to them the therapeutical properties of the numerous remedial drugs and agents of indigenous origin, and thus awakening an interest for their further study, research and application for helping the poorer classes of their patients by using and equally, if not more, efficacious native remedies in the treatment of diseases in preference to their costly foreign substitutes. 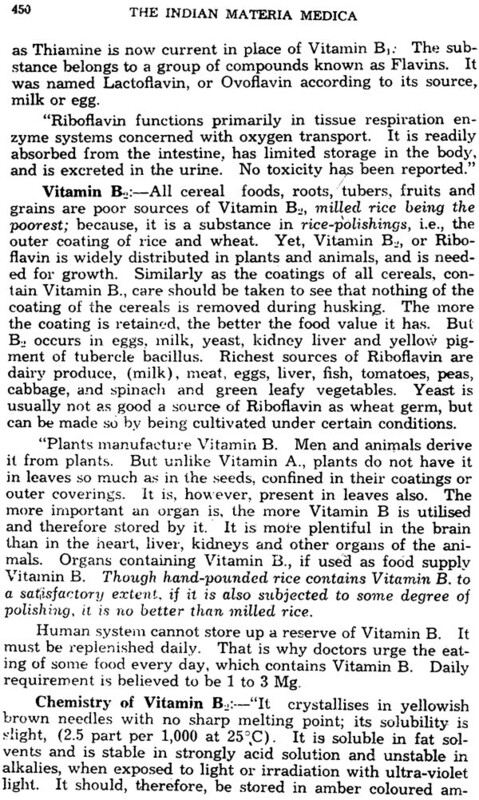 (b) By placing before them the value the value and composition of several articles, such as fruits, grains, vegetables, etc., thereby them in prescribing diets more accurately and suitably to their patients who are naturally accustomed to native foods rather than foreign ones. (c) By stimulating in them a desire for keeping ready the pharmacological preparations of important Indian drugs made according to Western preservative methods so that they can be readily employed in emergent case. 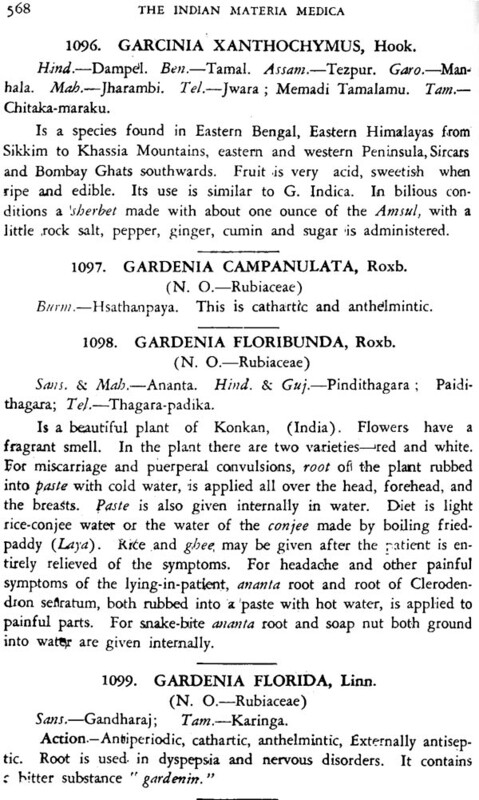 (d) By enabling them, with the help of their knowledge of the Indian drugs as well as of the various Ayurvedic preparations described in the book, to better diagnose and treat the conditions of patients who come under their care after undergoing a previous course of treatment by kavirajees, pandits, vaidyas, and hakims. 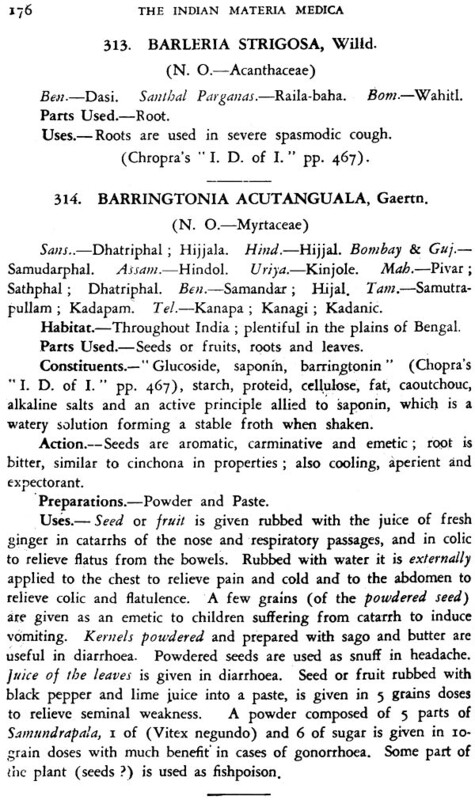 (a) By initiating them into a knowledge of the medicinal uses and application of indigenous drugs and remedies procurable at a nominal price in all Indian bazaars, or at the more cost of collection from the roadsides of gardens in immediate neighborhood, whereby they can help themselves in cases of very minor complaints, or in cases where efficient medical aid is unattainable, and thus relieve many a pain and suffering and, perhaps even a valuable life. 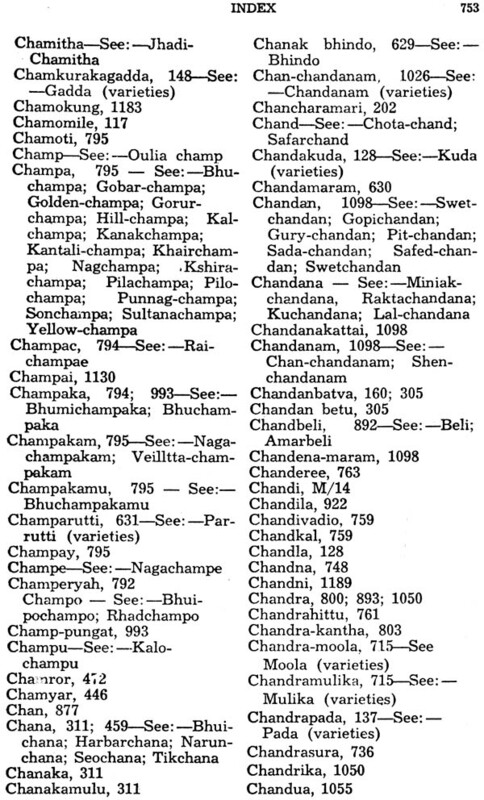 (b) By placing before them the nature, composition and preparation of several select remedies belonging to the ancient Ayurvedic System whose merits and benefits, in chronic cases, are already well known throughout the country. (c) By enabling them to find out by themselves the medical and hygienic effect of numerous fruits, foods and vegetables in common use in order to regulate their own diet according to the needs of their conditions. (d) By helping with all these means and resources, the innumerable individuals. 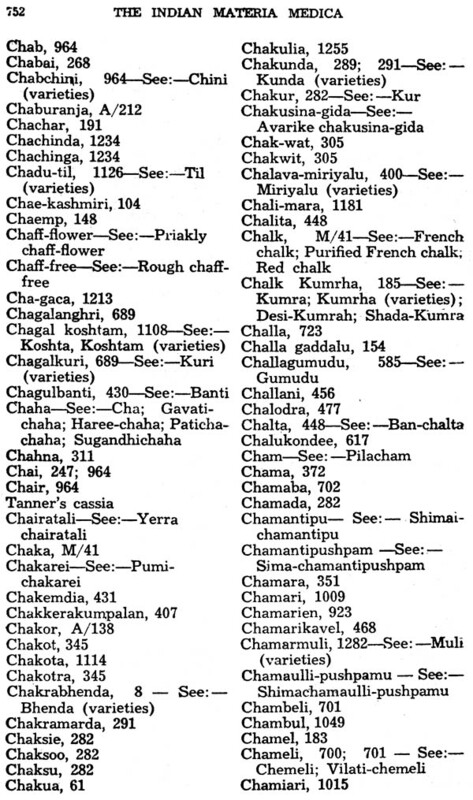 Families and establishments, Agricultural, Industrial and Government, such as Public Works, Forests, Railways, Telegraph and other Department, those engaged in Tea, Coffee, Cotton and other plantations and those employed in commercial in stations for away from regular medical aid and consequently thrown, at such times, on their own resources. With these aims and object I have compiled and condensed the notice embodied in this little volume, with the hope that, to the intelligent Householder it will serve as a safe and reliable Family Medical Aid, and to the medical Practitioner, a powerful weapon added to his already existing armory. I have endeavourer to give, within the prescribed of this volume, an epitome of the largest possible amount of valuable information, compressed as much as in consistent with clearness, accuracy and practical usefulness. 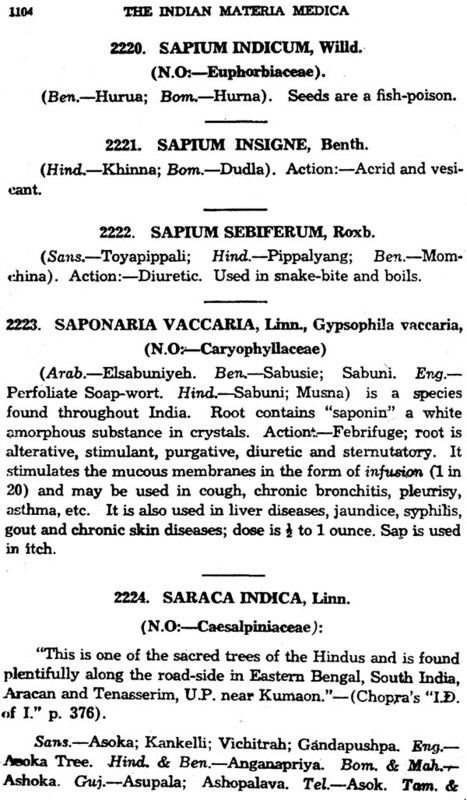 In selecting this mass of facts I have made use of, besides the notes occasionally jotted down during the last fifteen years as a result of personal observation of cared with marvelous beneficial result in competition with the Western Allopathic System, several Standard Authorities on Indian products; among these may be named prominently, that of Dr. Watt, a monumental work replete with information about products of Indian origin, containing a vast store of personal investigation by a large army of eminent physicians, Sciences is and Workers in the filed of Indian Therapeutic; that of Dr. K. L. Day, C.I.E., F.C.S., the invaluable product of his forty years experience and research in the domain of Indian Pharmacology; that of Dr. U. C. Dutt who, in his “Materia Medica of the Hindus has unraveled the precious knowledge that lay hidden in ancient works; and that of Dr. E. J. Warring, already well known and popular in India. Among the rest may be mentioned the works of Dymock, Dreary, Knory, Moideen Sheriff and Sakharam Arjoon. To all these I owe my grateful acknowledgement, as I have availed myself of the valuable information contained in their works. 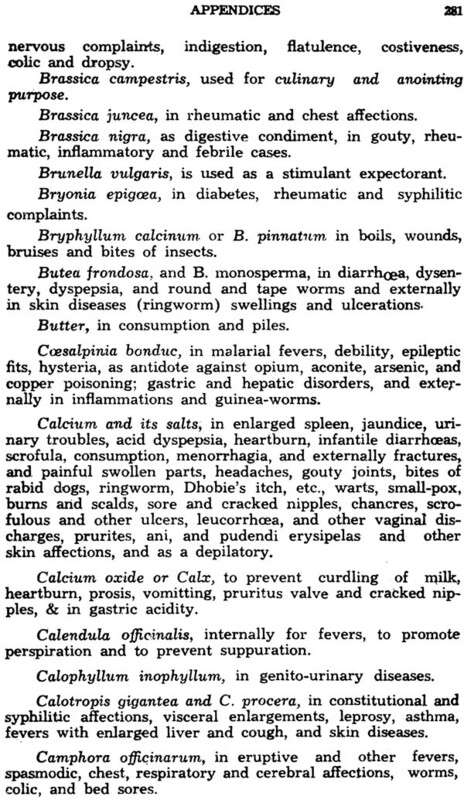 The Index of Diseases and Remedies given at the end has been prepared with the special purpose of helping the reader to track out at once the particular for the particular ailment, and, under their headings, he can readily find out the ordinary care and intelligence, will never fail to do good in most cases; and if, though the instrumentally of this little work, the physical suffering of the millions may be, in any degree, alleviated, my highest aim and ambition will be fulfilled and my labours abundantly rewarded. Whenever a book is being introduced to the public it has become a custom to give the why and wherefore of it. 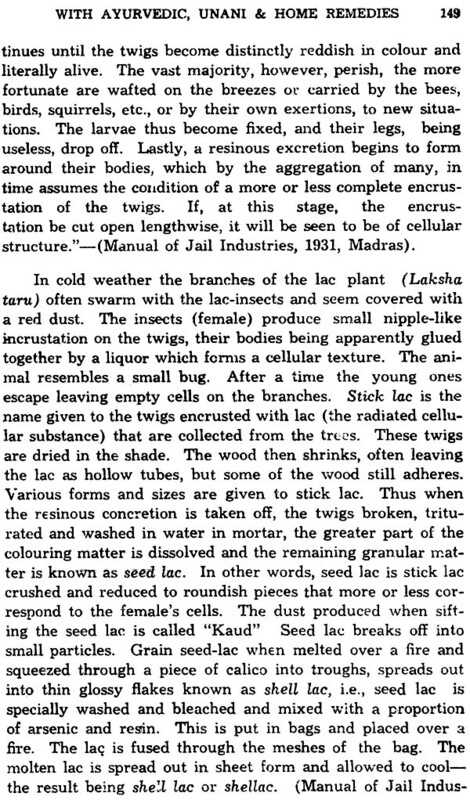 Accordingly I have to state briefly the causes and circumstances that led to the preparation and of India and also to state my little work on the indigenous drugs of India and also to state my case, as many of old readers might have the curiosity to know, now I was converted since the last twenty years from publishing books on clinical dinical diagnosis and treatment of diseases according to the Western system of medicine and with the use of druge and preparations of the brutish Pharmacopoeia, into editing the publishing books dealing with the properties and uses of Indian drugs and remedies. 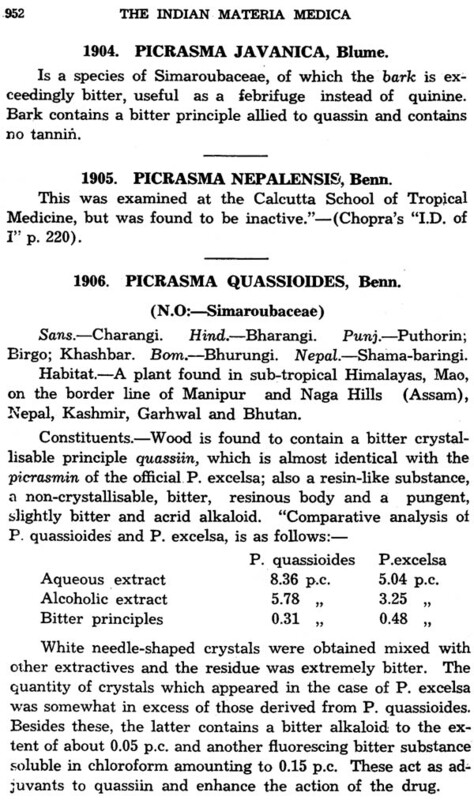 It was exactly 18 years ago that my book “Indian Plants and Drugs, with their medical Properties and uses” was published. In the “Preface’ there to I had mentioned that my aim and object in publishing it was to serve not merely the medical, but also the non-medical educated public by introducing to them, especially to the former the numerous cheap and efficacious medicines and foods of indigenous origin so that they might them in their practice, and to the latter (i.e., the non-medical educated public who are removed far from efficient medical aid) the large number of simple remedial drugs, fruits and vegetables, procurable at the mere cost of collection from road- sides or gardens, or obtainable at a nominal price in the Indian bazaars. But I had not mentioned the circumstance that led to a sudder change in my mind from publishing revised and up-to-date editions of my former books viz., the “Essentials of Modern Treatment of Diseases” and the “Practitioner’s Clinical Referee” for which I had made all the preliminary and for which there had been an extensive and continuous demand for some years previously since the entire exhaustion of their edition, and which impelled me towards the preparation of the book Indian plants and Drugs. They were the strong spirit of Swedish’s suddenly evoked in me by the wave of Swedish spirit that swept over Bengal during the days of the Bengal Partition, the deep since of the glaring evidence chronic grinding poverty all round us and the annual loss of nearly two cores of rupees to India for importing costly foreign medicines. 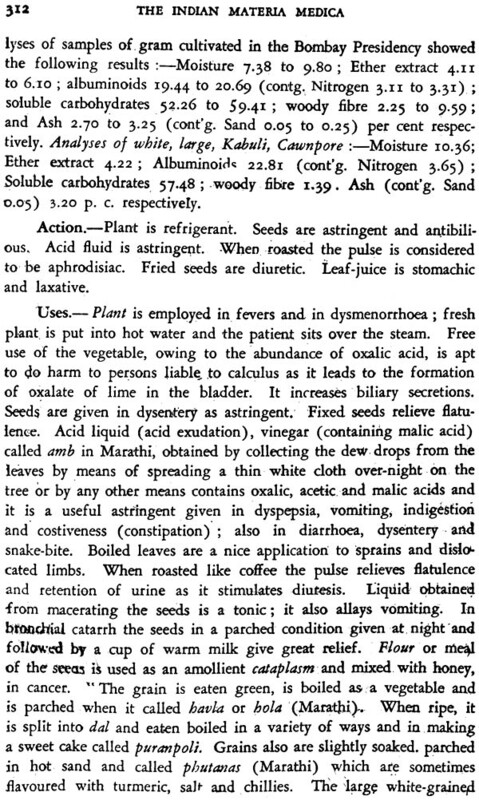 There the main factors that actuated me to prepare the book “Indian plants and Druga”, which was publication about the of 1908. But, within a short time the publication, i.e., soon after the Partition was revoked, the Swadeshi spirit excited by it in Bengal rapidly passed off. 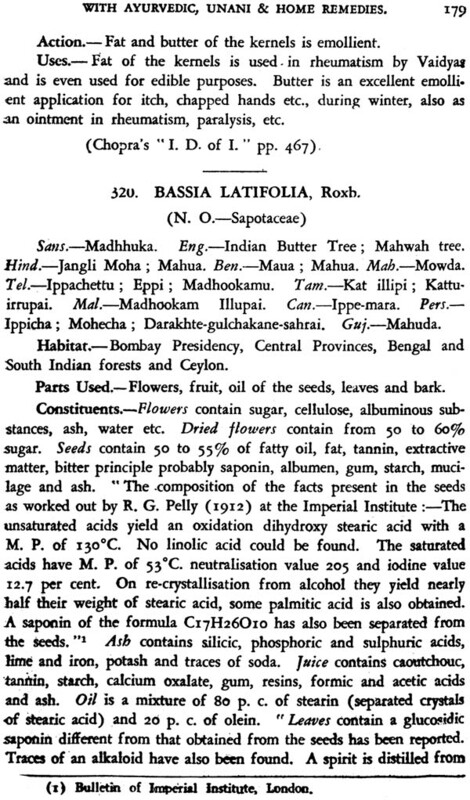 As a result there of the large edition of the book printed with the sole object of popularizing the voluble indigenous drigs among the Medical profession and the educated classes of India with the aid of the patriotic spirit created in Bengal and which was likely to spread throughout the country was like a burden upon me; and it took me a number of years of stress and struggle to exhaust the edition by also owing to the utter lack of patriotic spirit in the country. Yet, meanwhile the book did not fail to earn unstinted and unsolicited praise and welcome from the highclass Indian Press, both medical and lay, as well as from eminent medical men-official and non-official. The late lamented Sir Charles Parday Lukis, the then Director General of the Indian medical Services, not only ordered all his the Government medical Stores under his control to supply themselves with copies of the book, but also advised us to apply to the provincial Surgeons general so that they might recommend the purchase of copies for the use of medical officers attached to the hospitals and Dispensaries under their control. But, our application to them met with no favorable response; we response; the usual and evasive replies generally obtained from Heads of Administrative Departments of Government in cases where Indian-made things are seeking their patronage. While even the Revenue, Salt and forest Department of madras had purchased copies of the book for use in their office in the Presidency, none of the Heads of the Provincial Medical Department in India patronized the book although it was especially for the use of Medical men in India. 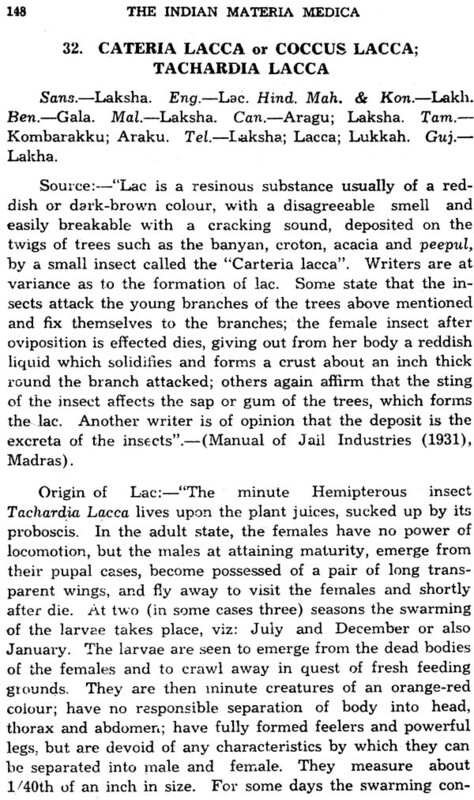 Among the University, as far as I come to know, only two, viz, the Allahabad and the Lucknow University had the courage and the patriotism to the rescribe the book as a co text with the British Materia for the students preparing for the M.B. degree examination. 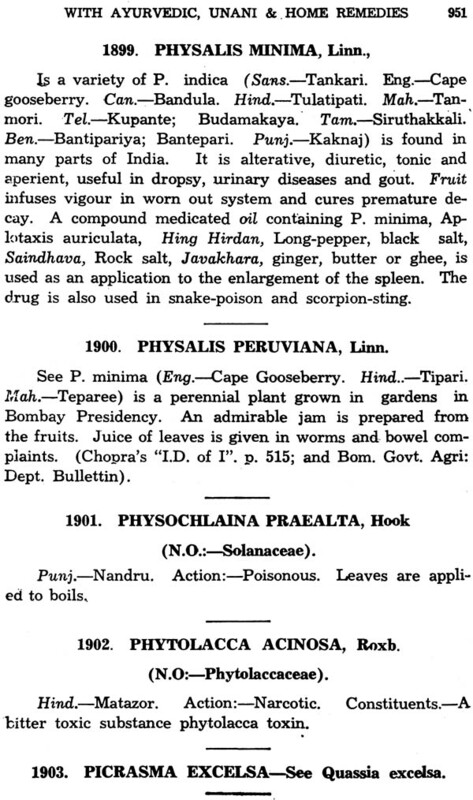 The sad want of patriotic spirit particularly among the Indian medical Profession in general was the cause of the other and older Universities to recognize the importance of giving to their Medical alumni the benefit of the knowledge of the properties and the uses of the Indian drugs along with those of the foreign ones. This is a revised and enlarged edition of my revered father’s Indian Materia”. 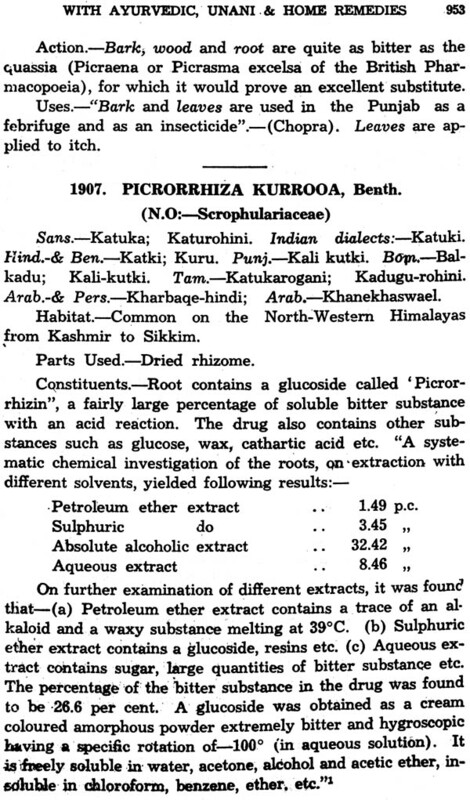 This work which was first published in 1927, under the new title had grown out of his previous publication, “The Indian Plants and Drugs” (1908). In this latter compilation I had the good-fortune to collaborate with my father to a large extent. I have now put the old wine into a new bottle as it were, but new wine too has been judiciously added. My sincere object in this undertaking was to make the present edition the best possible Medica for comparative studies and if discerning readers find it so, I shall feel amply compensated for the heavy labours involved. 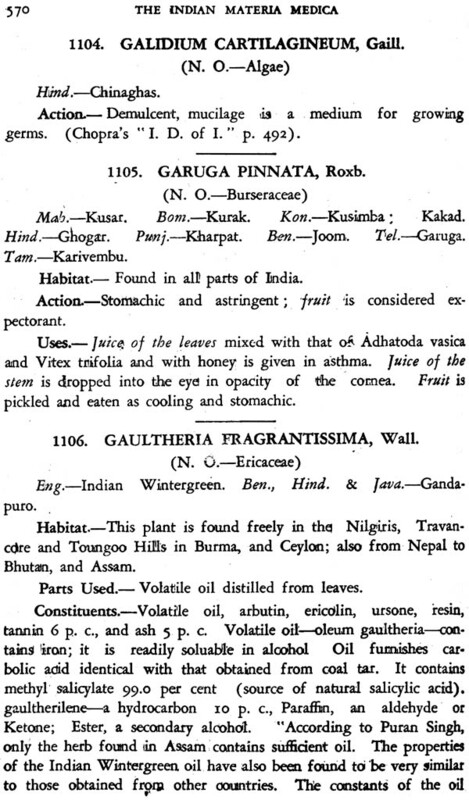 The never ending enquiries and orders for a revised and enlarged edition of the “Indian Materia Medica” coupled with my own eagerness to keep alive my father’s name through his monumental work prompted me to undertaking this huge task single-handed and “single-eyed” as it were (ailing as I am with high myopia in my right eye and amblyopic in my left eye! ), necessitating the sitting up for days and nights for years together. 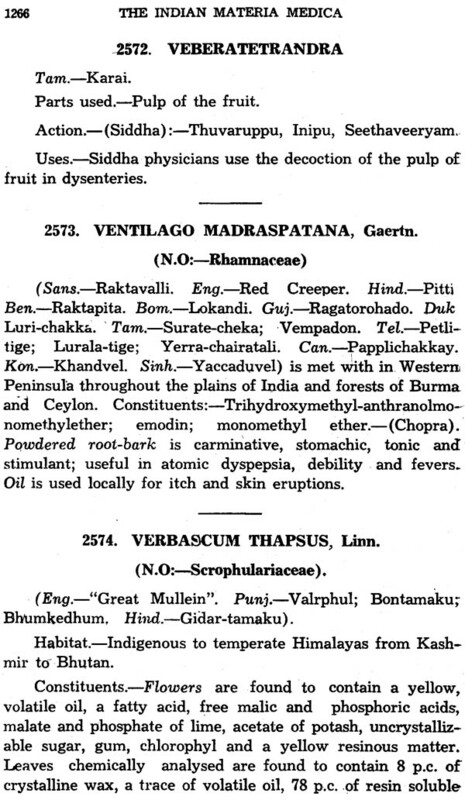 I have included in this edition an “Index List of Indian Plants and Drugs from which Mother Tinctures and Extracts etc., are prepared o Homeopathic System of Medicine” in the hope that practitioners of Allopathic as well as Ayurvedic and other system of Medicing, including Naturopathy, will give a trial to Indian made homeopathic tinctures, extracts etc, and communicate their comparative case-reports to Medical Journals; for the benefit of suffering humanity and for the enlightenment of their professional brethren. In the revised Introduction to this book the Table of Weights and Measures have been on a new basis by giving their respective comparative equivalents, so as to enhance their usefulness in rapid reckoning. Some meascultural and forest produced, exporters and importers and businessmen dealing in raw products, spices etc. 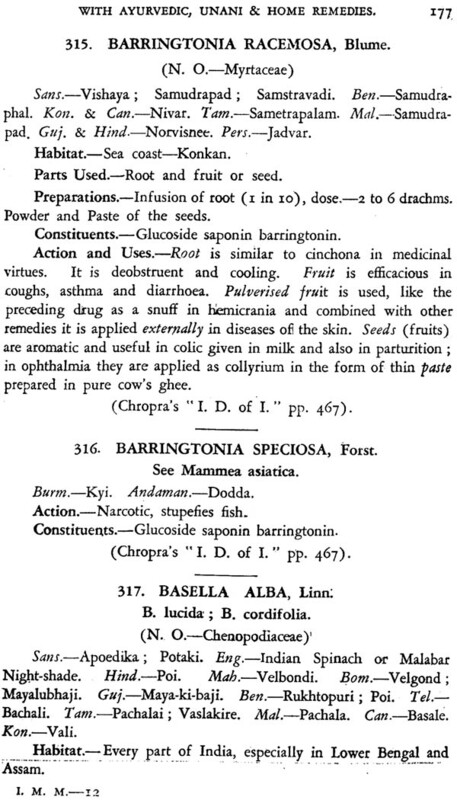 While dealing with medicinal plants, grasses, etc., wherever I came across information regarding agriculture, forestry and veterinary science I have inculpated the same, in brief, in the present edition. I feel confident that the Appendices IV and V, which have been improved all round will be of improvrd all round will be of help to dieticians as well as research-workers. 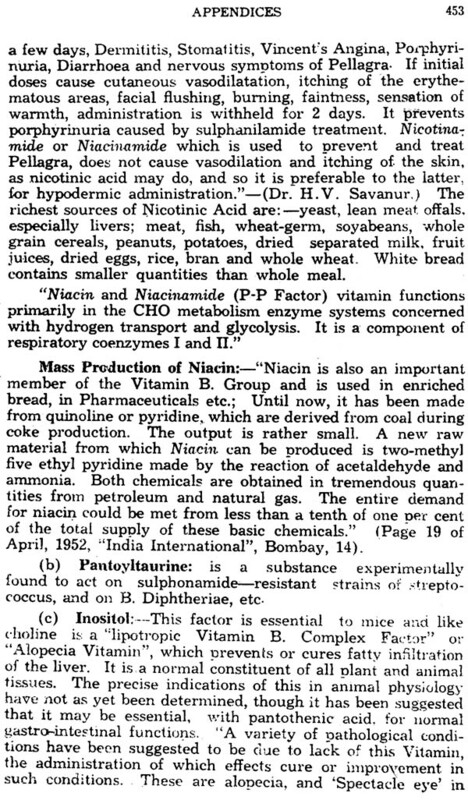 In Appendix I readings to Drugs under Specific uses which was added to and improved upon after the main text was set up, the reader might find some clues regarding numerous other drugs. 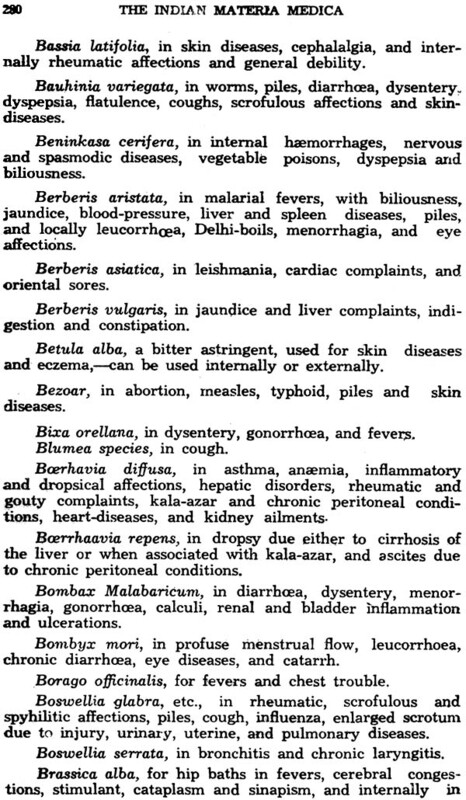 In order to help non-medical readers of this book, to understanding the meanings of diseases treated in this volume, I have appended to this edition an extensive glossary of diseases (vide Therapeutis and Diseases and Ailments pages 327 to 400). 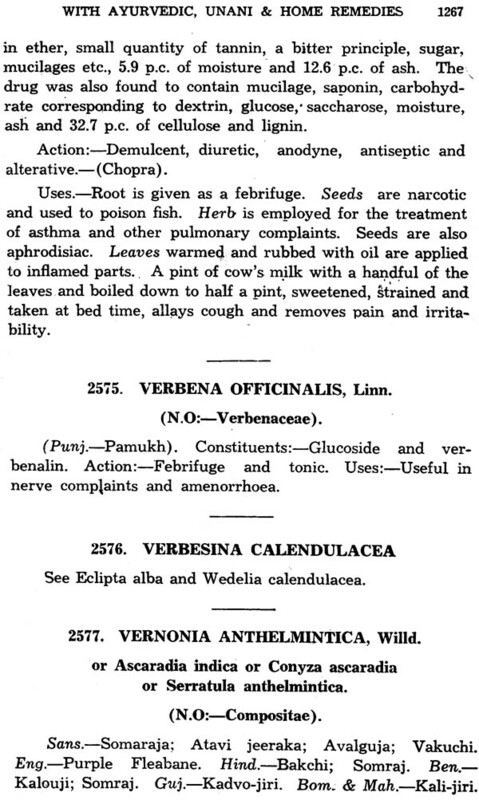 In the “Index of diseases and their remedies’ I have given some specific Homeopathic remedies manufactured from Indian drugs to create an interest in them, among the votaries of different systems of medicines. 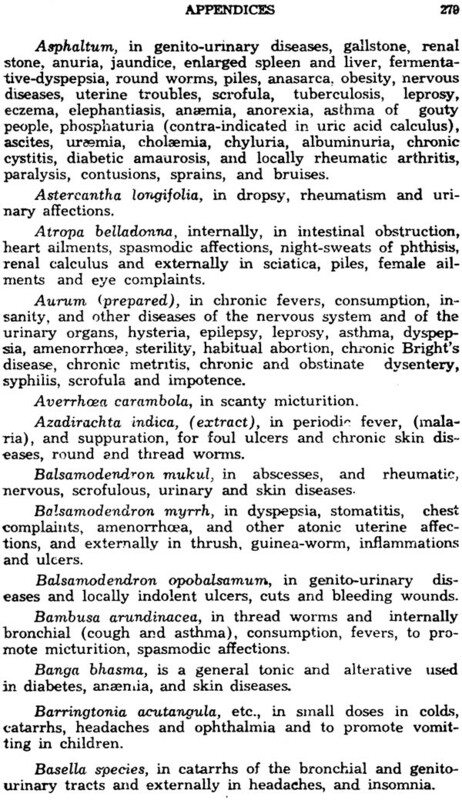 As the names of all the main drugs of the Vegetable kingdom have been dealt with in their alphabetical botanical order for facility of reference and in order to avoid unnecessary cost of paper and labor of compilation, a separate consolidated list of these vegetable drugs has not been drawn up, but, as many former readers had desired, a separate combined consolidated list of drugs of mineral and animal kingdoms has been given by me on pages 703 to 714. 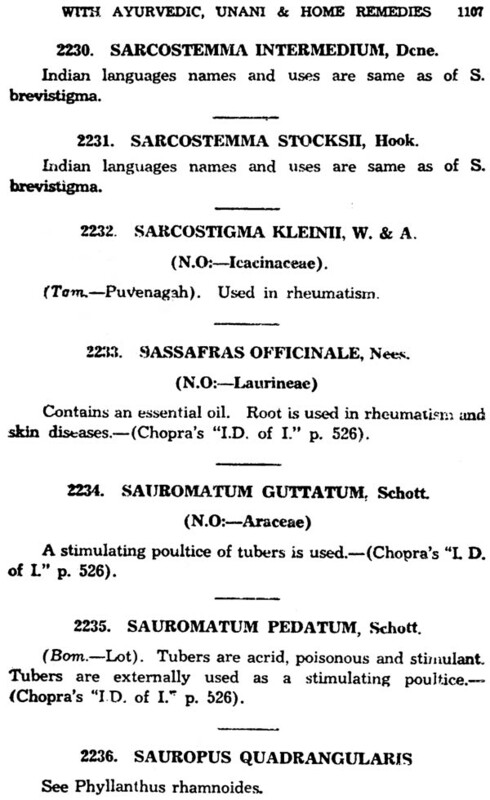 As the mention of “Home Remedies” in the title of the previous edition of this book was hurriedly read by some physicians as “Homeo”-which is the abbreviated from of Homeopathy-remedies, I thought that in these progressive days it would be appropriate to include in this edition some selected Homeo remedies prepared from Indian Drugs by Indian Homeopathic manufacturing concerns. 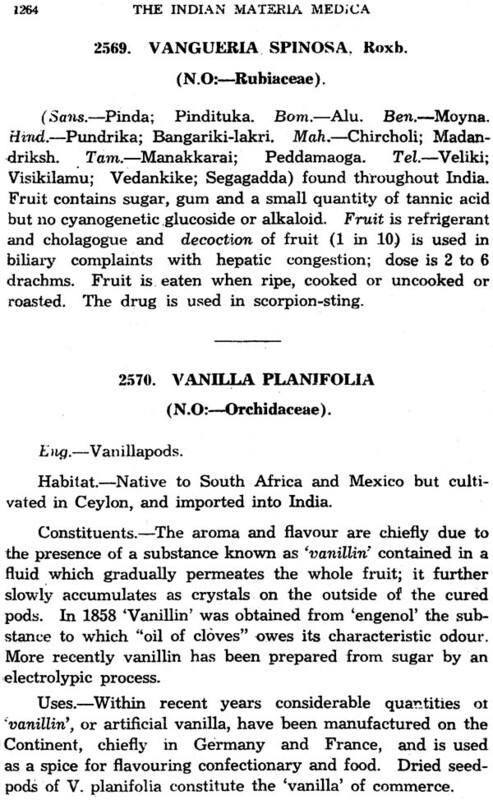 Information relating to Indian as well as foreign drugs, Which is amply in western works on material medica, Pharmacology, therapeutics etc, wil’ be found, at least to some satisfactory extent, in this edition. Though this work is a little bulky, I trust, lecturers and professors of material Medica, Therapeutics, Medicine, Chemistry, Pharmacy and allied subjects, will and in this work much information on drugs to useful to them as also to their students. 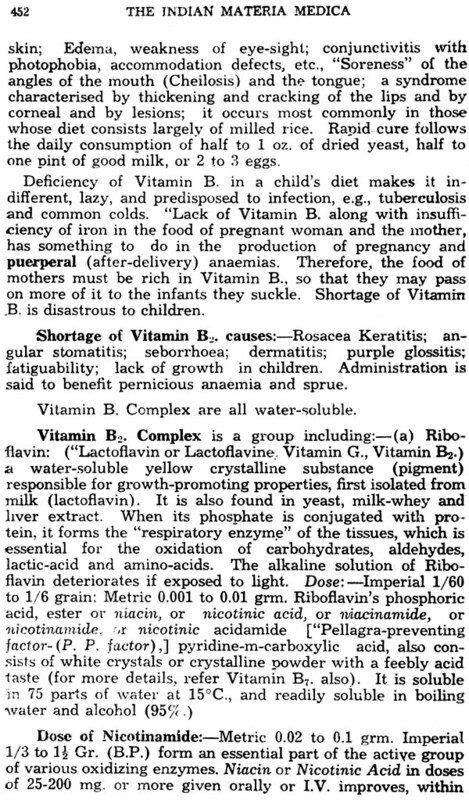 The exhaustive Appendices on pages 401 to 487 regarding vitamins, Composition of foods and disentitle articles will, I hope, encourage medical practitioners of all systems in India to study these subject with greater attention towards their application to the food, diet and nutrition of Indians and materially lessen the use of medicinal drugs, by prescribing well- balanced and appropriate diete to patients who can ill afford costly medication. 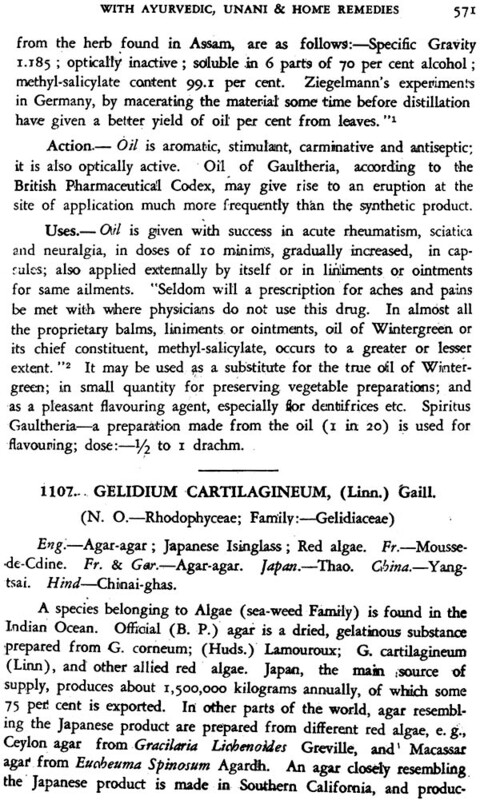 In order that the foreign English Knowing readers of this edition may be able to recognize immediately the ingredient’s or drugs of any Indian preparations, formulase, etc., almost all the Indian language names in the previous sedition thereof, have been substituted or replaced by Latin or English names. 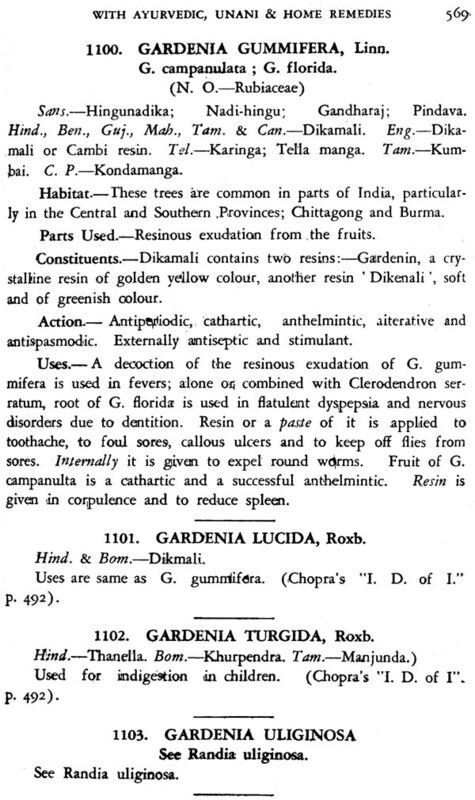 On the advice of same Professors of Medical subject, Research Workers and Manufacturing Chemists, I have expunged “the distinguishing” portion from Appendix VIII viz, “Important Genera or Natural orders etc.” that appeared in the 1927 edition of this book, but have included an improved and Lengthier “Index-List of Natural Orders, Genera and Families with their respective alternatives, English and Indian equivalent names” (vide pages 617 to 622 of this book.) 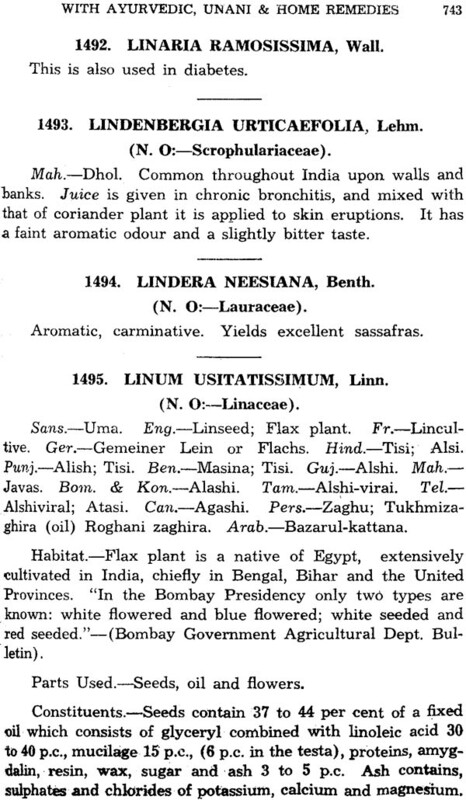 Their remarks were that the brief distinguishing characters as given in the previous edition was not quite helpful to inquisitive botanists who can find more exhaustive details regarding each family in any standers botanical works, and that those who are not interested in botany will not have patience to read any portion of the ‘distinguish any plant, but they would better depend on and be guided by synonyms in the Indian Languages or provincial names of drugs. 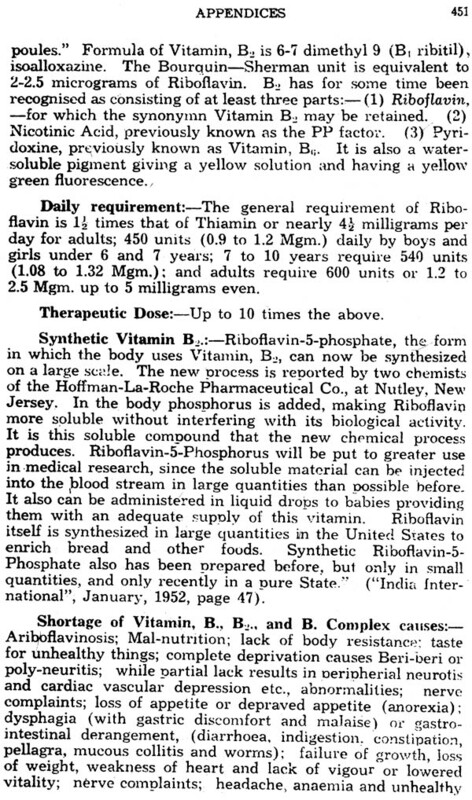 Instead, they advised me to add a new “Index of chemical Constituents (vide pages 665 to 714) and to adopt the ‘cross-Index’ system in the general Index of Synonyms, which they stated, would be a great help to them their research work. Accordingly, though these new indexes devolved much patient labour, I have complied with their wishes and hope these Indexes will be of much benefit to them. 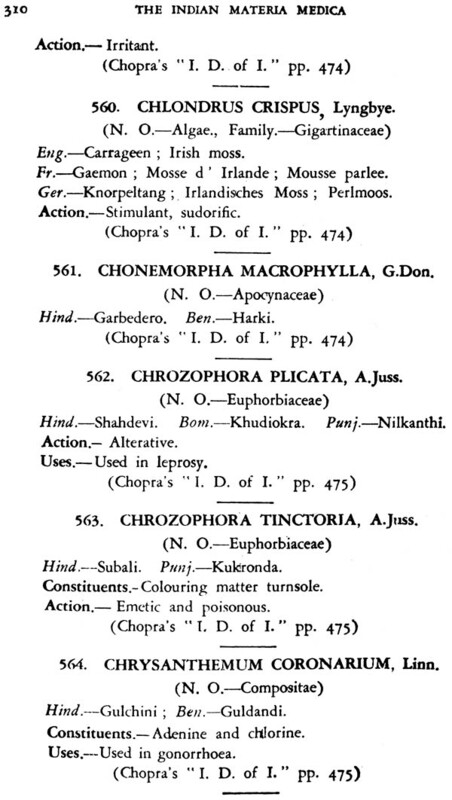 The Doshas viz., Vayu, Pitta and Kapha constitute the tripod on which Ayurveda stands. To understand their theory perfectly and correctly is by itself a long and arduous study. The subject being a very complicated one, it cannot be ex- plained within the compass of a few pages. Also it has been defined by different experts in different ways, but the basic principles to which they all point to, are the same. 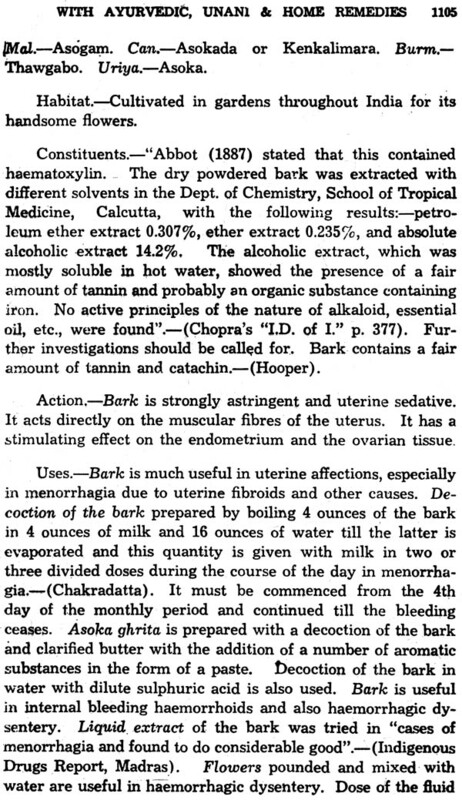 They, as expounded by one of the foremost Ayurvedists are as follows: -Late lamented Mahamahopadhyaya Kaviraj Dr. Gananath- sen Saraswati, M.A., L.M.S., of Calcutta, said "the theory of Vayu, Pitta and Kapha begins where modern Physiology ends; for, it endeavours to explain all the physiological processes as also the principles which guide them. 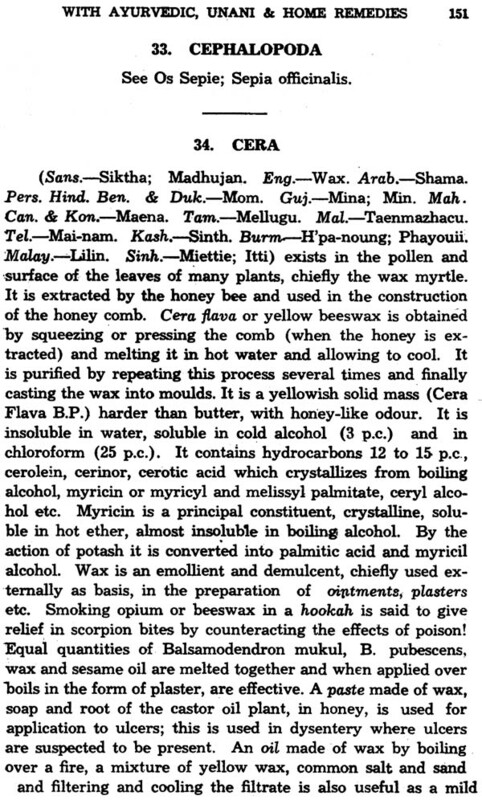 It is too elaborate a subject to be described here fully, I may refer you to the following concise statement contained in my Benaras Hindu University address on 'Hindu Medicine,' to give you a rough idea of the theory." "The theory of Vayu, Pitta and Kapha was also a great discovery, which unfortunately has been much misunder- stood by Western scholars judging by the wrong mercenary translations, rendering these terms as 'Wind, Bile and Phlegm'. 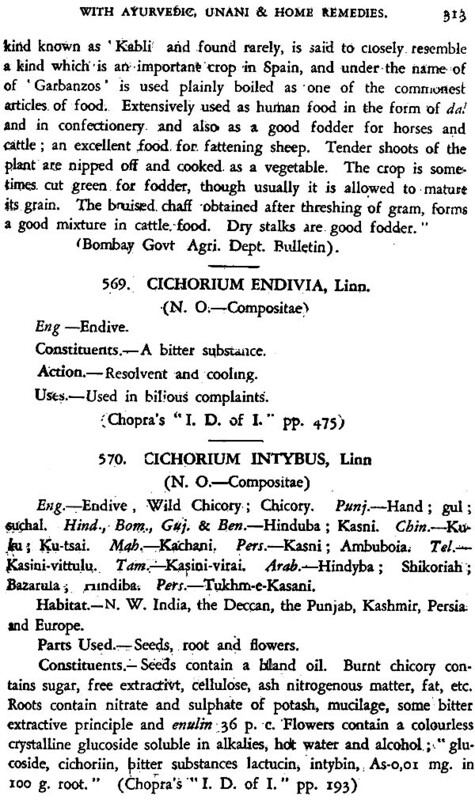 The proper explanation of this theory will take up a treatise by itself, but let me observe here in passing that the word Vayu, does not imply 'Wind' in Ayurvedic literature, but com- prehends all the phenomena which come under the functions of the Central and Sympathetic Nervous Systems; that the word Pitta does not essentially mean "Bile" but signifies the functions of Thermogenesis or heat production and metabolism, comprehending in its scope the process of digestion, coloration of blood and formation of various secretions and excretions which are either the means or the ends of tissue-combustion, and that the word Kapha does not mean Phlegm but is used primarily to imply the functions of Thermo-taxis or heat- regulation and secondarily formation of the various preserva- tive fluids, e.g., Mucus, Synovia, etc., though the crude pro- ducts of Pitta and Kapha have also been sometimes called by these names. We regret, we cannot do justice to this subject here for want of space hut we hope the above would give a clue to the student who means really to investigate. It must be remembeted that the theory of Vayu, Pitta and Kapha is not the same as the old exploded humoural theory of the Greek and Roman Physicians who, though they borrowed the idea from Ayurveda, failed to grasp the true meaning of the theory. I am convinced that the truth and value of the Ayur- vedic theory can be verified. It affords sensible erplanations of certain otherwise inexplicable facts in the causation and amelioration of diseases and their symptoms. It can also guide you in understanding the laws of general Therapeutics which it would be much to the advantage of any medical man to learn. I dare say by studying the subject with an open mind, he will be converted to believe in the theory. 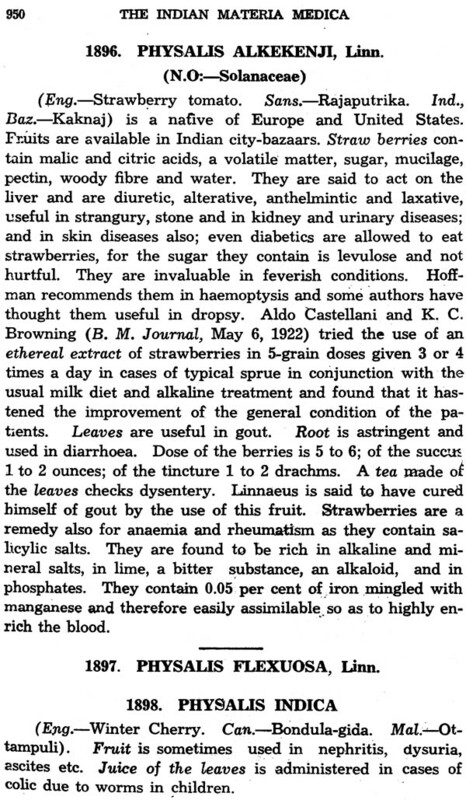 As we find in daily practice, even the half-educated Ayurvedic Physician who remembers the laws of Aetiology, Therepeutics and dietary hinging upon this theory fares pretty well by the bed-side of the patient". (2) A crude or visible form, the products (as secretions or excretions) of those processes induced by these essential terms." "The relation between the two forms is very close, so that the derangement of the essential form of one principle gives rise at Once to increased or morbid secretions and ex- cretions of that principle. The failure to recognize the differ- ence between these two forms of the principles has given rise to the erroneous rendering of (Pitta as 'Bile' and Kapha as 'Phlegm'. The rendering of Vayu as 'Wind' is preposterous and has brought unmerited obloquy on the theory (vide my Sanskrit work 'Siddhanta Nidanam' Chapter I for a full ex- position of this subject. 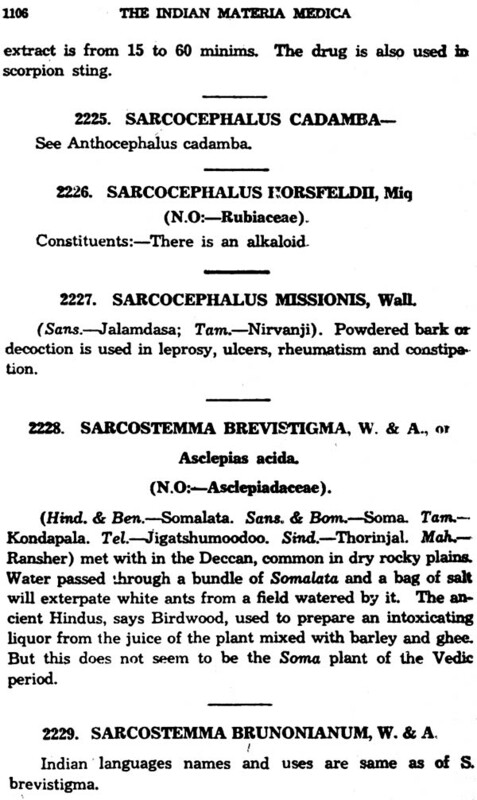 )"-Report on the Indigenous Systems of Medicine, Part II, Madras.